This compact yet spacious container is perfect for the storage of furniture, boxes, bikes or even a motorcycle. A popular choice for storing the contents of smaller flats when relocating, or perhaps as an additional storage location for a small business. Easy access allows for the storage of more awkward and fragile items with no lifting equipment required and full drive-up access. 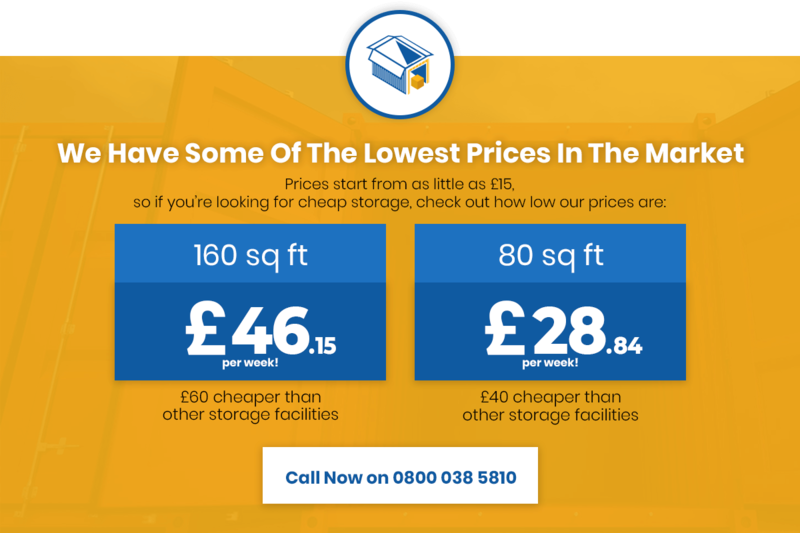 Available for the low price of £20.77 per week or £90 per month, our 4ft containers are perfect for long and short-term storage alike. Call to discuss flexible terms on longer-term storage agreements.